Working towards a national network of certified tennis academies. We made a custommade quality framework for the certification procedure for national tennis academies. Since 2014 we’re partner of the KNLTB for the exection of annual auditing tennis academies. The Dutch Lawn Tennis Association (KNLTB) has the ambition to belong to the best 10 tennis countries in the world. 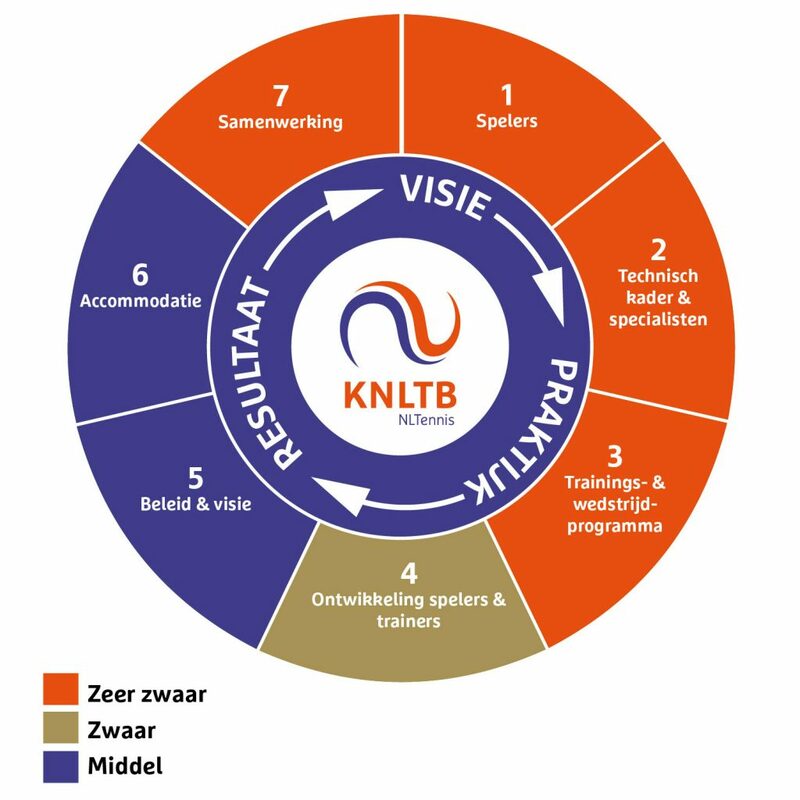 To give the structure and performance culture of training talented players and players in the Netherlands a powerful quality impulse, the KNLTB will work closely with tennis schools. These schools have a prominent role in training talented players in the Netherlands. KNLTB opted for a cooperation model in which all parties make each other better, keep their focus and thus deliver top performances. The association wants to go to a national network of certified tennis schools with room for development and cooperation. The network consists of a number of superstructure tennis schools (12 to 18 years) in the various regions, surrounded by a number of junior tennis schools that take care of the scouting and first training of children up to 12 years. Under the direction of the KNLTB and in cooperation with each other, the tennis schools provide youth training. NMC Bright has helped the KNLTB to develop an objective certification system consisting of 10 quality domains and around 40 quality criteria to identify the quality of the tennis schools. The certification of the tennis schools is carried out by NMC Bright consultants.